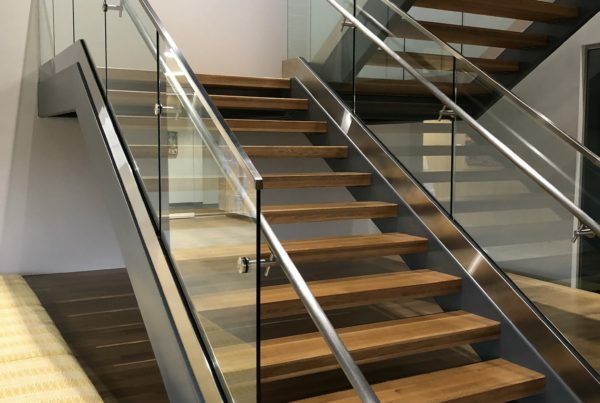 AGS & Handrails Corporation | Quality Midwest Handrail Systems Provider. 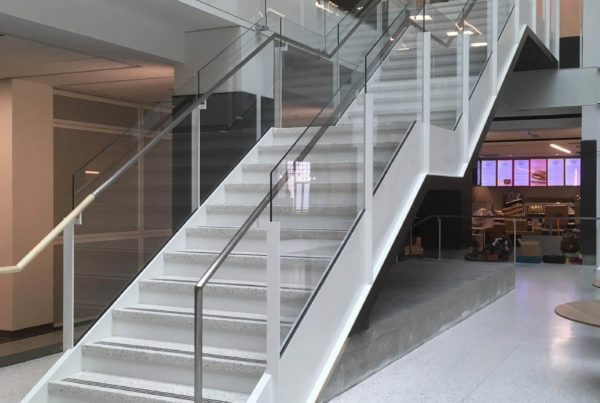 AGS & Handrails fabricates and installs custom handrail and guardrail systems in a variety of sizes and materials, specializing in Stainless Steel Glass Handrail & Cable Guardrail systems. 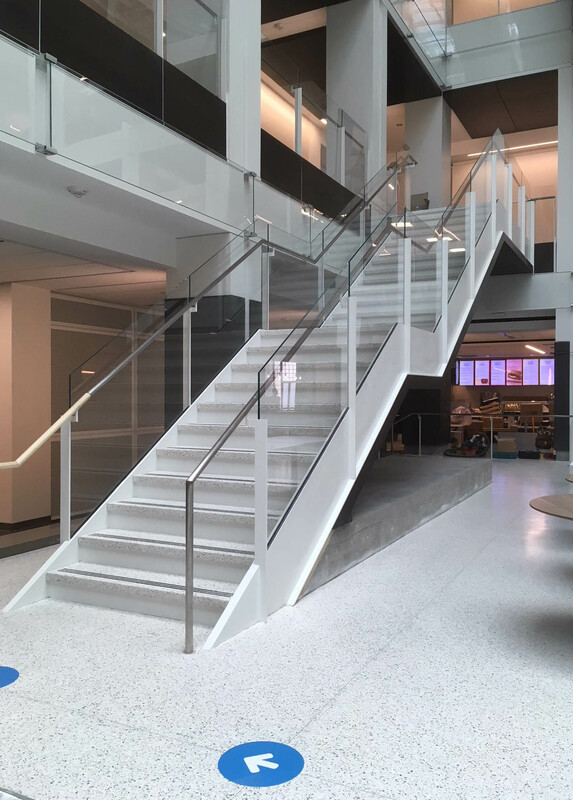 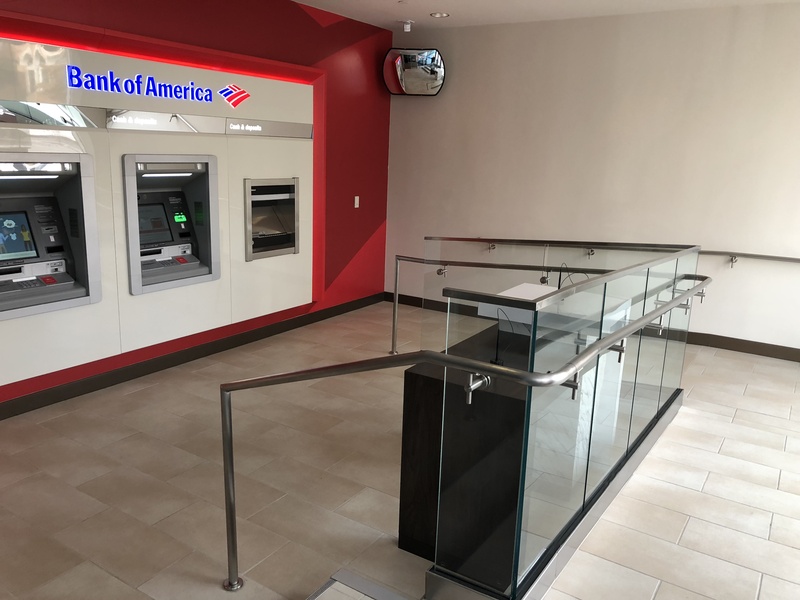 AGS & Handrails fabricates and installs custom handrail and guardrail systems in a variety of sizes and materials, specializing in Stainless Steel Glass Handrails & Cable Guardrail systems. 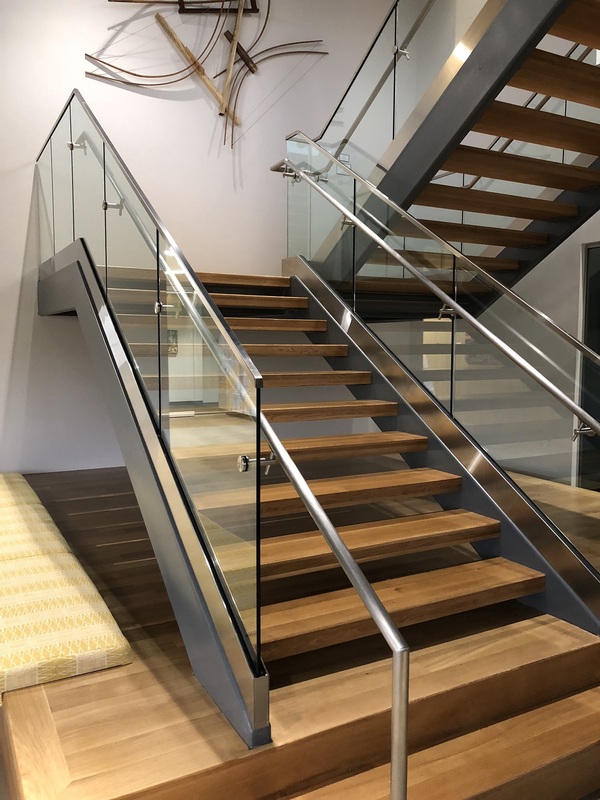 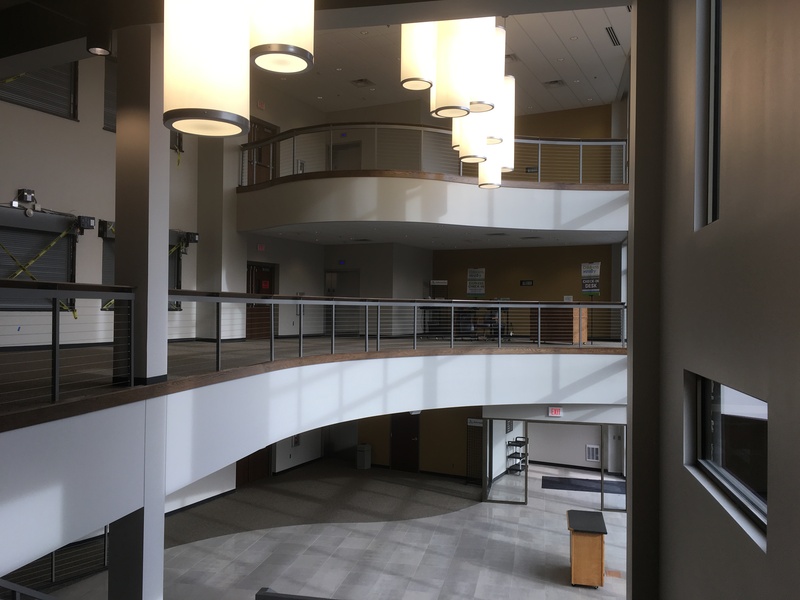 Our recent signature Midwest handrail system project was a 3/4″ glass guardrail system featuring curved #8 mirror finished stainless steel posts and handrails at the new Perceptive Software Headquarters in Lenexa, Kansas. 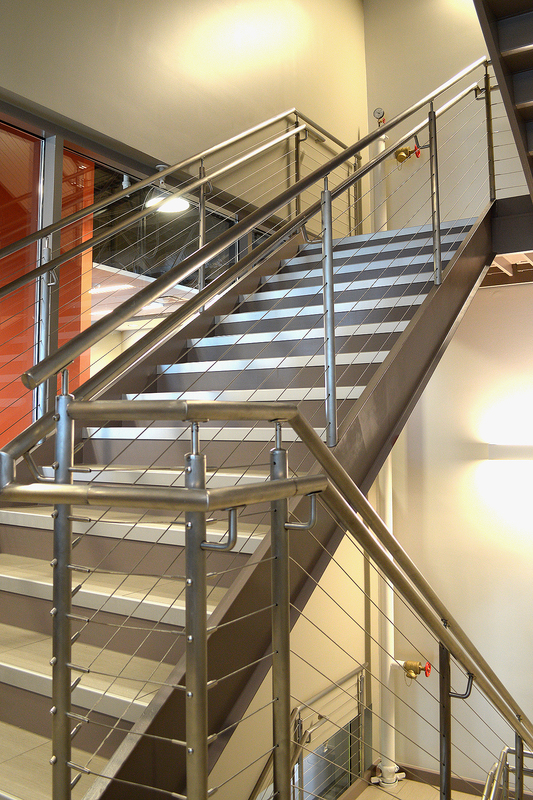 We have designed an innovative Cable Guardrail system that meets and exceeds all building codes. 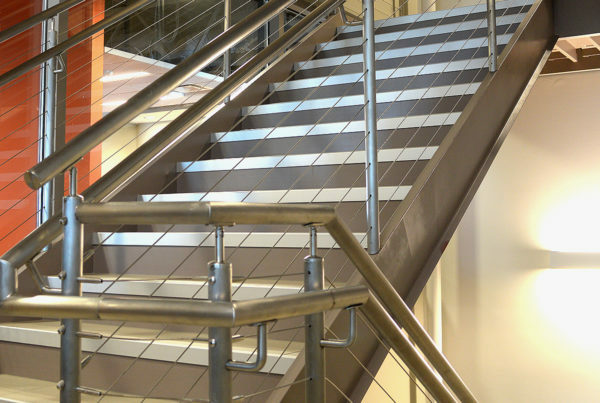 This system is available in a wide variety of colors in powder coat finishes and flexible mounting options. 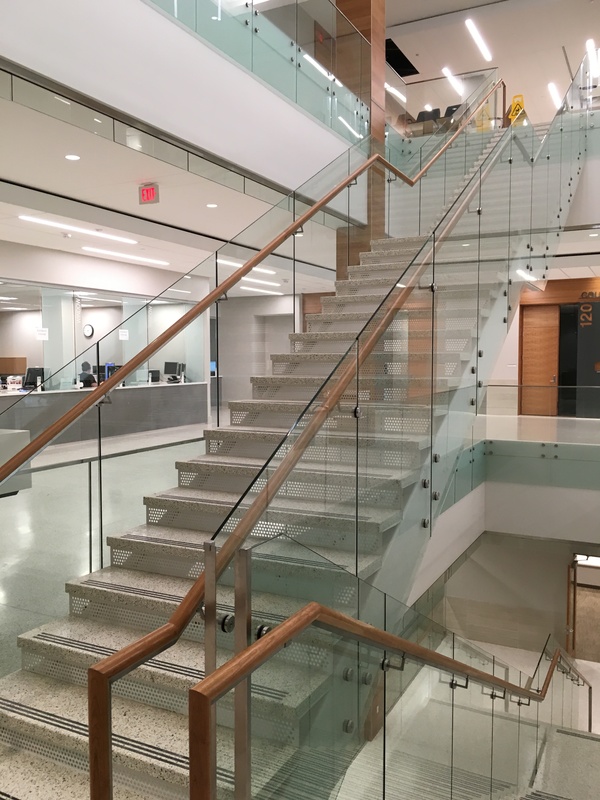 Our recent signature project was a 3/4" glass guardrail system featuring curved #8 mirror finished stainless steel posts and handrails at the new Perceptive Software Headquarters in Lenexa, Kansas.